This article is about the general 'skeleton'. For the skeleton in humans, see Human skeleton. Not to be confused with Skelton. The skeleton is the body part that forms the supporting structure of an organism. It can also be seen as the bony frame work of the body which provides support, shape and protection to the soft tissues and delicate organs in animals. There are several different skeletal types: the exoskeleton, which is the stable outer shell of an organism, the endoskeleton, which forms the support structure inside the body, the hydroskeletonis a flexible skeleton supported by fluid pressure and the cytoskeleton is present in the cytoplasm of all cells, including bacteria, and archaea. The term comes from Greek σκελετός (skeletós), meaning 'dried up'. 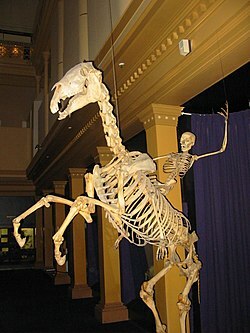 A horse and human skeleton placed in a display in the Australian Museum, Sydney. Exoskeletons are external, and are found in many invertebrates; they enclose and protect the soft tissues and organs of the body. Some kinds of exoskeletons undergo periodic moulting or edolysis as the animal grows, as is the case in many arthropods including insects and crustaceans. Rigid skeletons are not capable of movement when stressed, creating a strong support system most common in terrestrial animals. Such a skeleton type used by animals that live in water are more for protection (such as barnacle and snail shells) or for fast-moving animals that require additional support of musculature needed for swimming through water. Rigid skeletons are formed from materials including chitin (in arthropods), calcium compounds such as calcium carbonate (in stony corals and mollusks) and silicate (for diatoms and radiolarians). A hydrostatic skeleton is a semi-rigid, soft tissue structure filled with liquid under pressure, surrounded by muscles. Longitudinal and circular muscles around their body sectors allow movement by alternate lengthening and contractions along their lengths. A common example of this is the earthworm. In most vertebrates, the main skeletal component is referred to as bone. These bones compose a unique skeletal system for each type of animal. Another important component is cartilage which in mammals is found mainly in the joint areas. In other animals, such as the cartilaginous fishes, which include the sharks, the skeleton is composed entirely of cartilage. 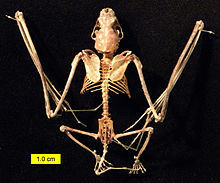 The segmental pattern of the skeleton is present in all vertebrates (mammals, birds, fish, reptiles and amphibians) with basic units being repeated. This segmental pattern is particularly evident in the vertebral column and the ribcage. There are 206 bones in the adult human skeleton, although this number depends on whether the pelvic bones (the hip bones on each side) are counted as one or three bones on each side (ilium, ischium, and pubis), whether the coccyx or tail bone is counted as one or four separate bones, and does not count the variable wormian bones between skull sutures. Similarly, the sacrum is usually counted as a single bone, rather than five fused vertebrae. There is also a variable number of small sesamoid bones, commonly found in tendons. The patella or kneecap on each side is an example of a larger sesamoid bone. The patellae are counted in the total, as they are constant. The number of bones varies between individuals and with age – newborn babies have over 270 bones some of which fuse together. These bones are organized into a longitudinal axis, the axial skeleton, to which the appendicular skeleton is attached. ^ a b Barnes, Edward E.; Fox, Richard S.; Barnes, Robert D. (2003). Invertebrate zoology : a functional evolutionary approach (7. ed.). Belmont, Calif. [u.a. ]: Thomson, Brooks/Cole. ISBN 0-03-025982-7. ^ Pechenik, Jan A. (2015). Biology of the Invertebrates (Seventh ed.). New York: McGraw-Hill Education. ISBN 978-0-07-352418-4. ^ Barnes, Robert D. (1982). Invertebrate Zoology. Philadelphia: Holt-Saunders International. pp. 105–106. ISBN 0-03-056747-5. ^ "Beluga Whale". Yellowmagpie.com. 27 June 2012. Archived from the original on 21 May 2013. Retrieved 12 August 2013. ^ "About Whales". Whalesalive.org.au. 26 June 2009. Archived from the original on 12 August 2013. Retrieved 12 August 2013. 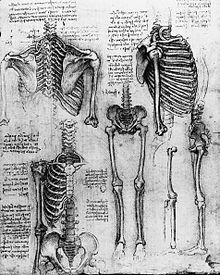 ^ "Skeletal System: Facts, Function & Diseases". Live Science. Archived from the original on 7 March 2017. Retrieved 7 March 2017. ^ William W. Reynolds & William J. Karlotski (1977). "The Allometric Relationship of Skeleton Weight to Body Weight in Teleost Fishes: A Preliminary Comparison with Birds and Mammals". Copeia: 160–163. doi:10.2307/1443520. ^ Miller, Larry (9 December 2007). "We're Born With 270 Bones. As Adults We Have 206". Ground Report. Archived from the original on 14 August 2016. ^ "How many bones does the human body contain?". Yahoo!. 8 August 2001. Archived from the original on 11 July 2011. Retrieved 4 March 2010. ^ Tözeren, Aydın (2000). Human Body Dynamics: Classical Mechanics and Human Movement. Springer. pp. 6–10. ISBN 0-387-98801-7. ^ Balaban, Naomi (2008). The Handy Anatomy Answer Book. Visible Ink Press. p. 61. ISBN 978-1-57859-190-9. ^ Stein, Lisa (2007). Body The Complete Human: How It Grows, How It Works, And How to Keep It Healthy And Strong. National Geographic Society. p. 73. ISBN 978-1-4262-0128-8. ^ Steele, D. Gentry; Claud A. Bramblett (1988). The Anatomy and Biology of the Human Skeleton. Texas A&M University Press. p. 4. ISBN 0-89096-300-2. ^ Schmiedeler, Edgar; Mary Rosa McDonough (1934). Parent and Child: An Introductory Study of Parent Education. D. Appleton-Century. p. 31.